As your business grows, you might find that it’s difficult for your marketing team to keep up. 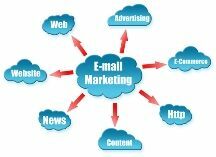 Small businesses across industries often turn to a company that can provide email marketing turnkey solutions. With a team of professionals dedicated to your business’ success, you can optimize your marketing efforts. Why email marketing? Even with the increase of social media and SEO tools, email marketing is holding ground. And it continues to be an effective tool for any small business. It gets a high ROI, it requires a low-cost investment, and it produces. Many companies report email marketing as their highest performing marketing tool. Email campaigns increase click-throughs and sales conversions. Email marketing is uniquely designed to generate repeat business. A customized series of emails easily allows up-selling and cross-selling. Emails allow customers to easily and instantly communicate with you, producing valuable feedback. Email marketing delivers another channel for sales, directing website customers to another means to make a purchase. Why should businesses use a provider? Being a small-business owner is tough. You have your hand in everything, and your marketing team may comprise you and your assistant, or one or two dedicated professionals. A service provider specializing in marketing can give you an edge over an in-house team, namely because the company has access to the technology to make it work, backed by experience and expertise. Choosing a provider that offers email marketing turnkey solutions gives you access to dedicated experts using state-of-the-art technology, providing customized communication touch points. A provider also can give you the ability to track and measure the results of a campaign and fine-tune future programs. At Continuity Programs, we provide comprehensive email marketing turnkey solutions for more than 20 industries. Our proven success with mortgage, automotive, banking and HVAC industries, along with others, has garnered a high return rate for our valuable customers. Contact us today, and we’ll give you an overview of our customizable email marketing programs. We’re happy to answer your questions. Check out our recent testimonial from John Adams Mortgage on our eConnections Program! It makes a lot of sense that a marketing solutions company would have the experience and equipment to really get something done with your business. This would probably be a little bit cheaper than hiring two employees as well because you would be paying a monthly fee rather than their yearly wages. The fact that benefits and time off wouldn’t be something to worry about would also be really nice.